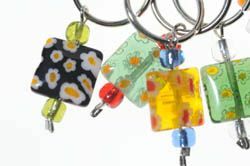 Fair trade Millefiori patterned bead stitch markers - set of 5. Colour/design may vary slightly from image. 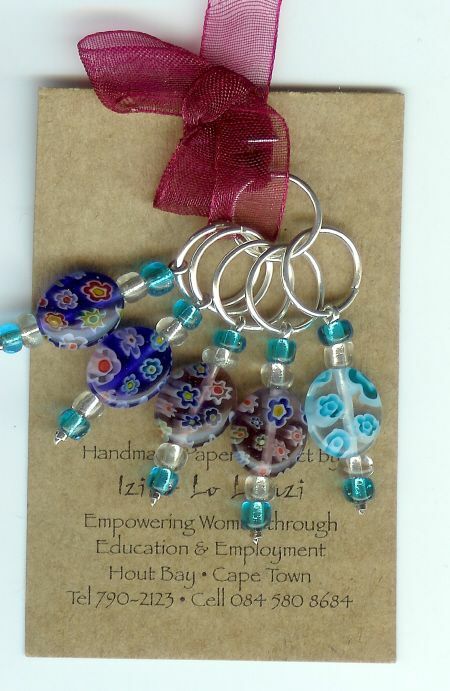 These stitch markers are produced by Iziko lo Lwazi, a South African womens' project, with the aim of empowering women through education and employment.